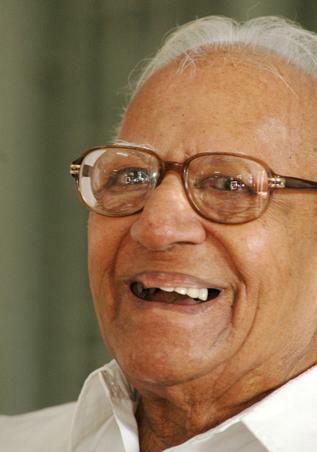 Eminent jurist and former Supreme Court judge, Justice V. R. Krishna Iyer, passed away at a private hospital in Kochi around 3.30 p.m. on Thursday. He died due to renal and cardiac failure, hospital sources said. He was hospitalised for a fortnight. Justice Iyer, known for his forthright views, turned 100 recently. He was sworn in as the judge of the Supreme Court on July 17, 1973 and retired at the age of 65 on November14, 1980.Born to a leading criminal lawyer V.V. Rama Ayyar in 1915 in Thalassery, Justice Iyer had his education at the Basel Mission School, Thalassery, Victoria College, Palakkad, Annamalai University and Madras Law College. After starting legal practice in 1937 under his father in the Thalassery courts, he used to appear for workers and peasants in several agrarian struggle-related cases in his early years of practice. He became a member of the Madras Legislative Assembly in 1952. He held portfolios such as law, justice, home, irrigation, power, prisons, social welfare and inland navigation in the first Communist government in Kerala headed by E.M.S. Namboodiripad that came to power in 1957. He was instrumental in passing several pieces of people-oriented legislations during his tenure as minister in the Communist government. He resumed his legal practice in August 1959 and threw himself into the legal profession after he lost the 1965 Assembly election. He was appointed a judge of the Kerala High Court on July 2, 1968. He was elevated as Judge of the Supreme Court on July 17, 1973, and retired on November, 14, 1980. He served as a Member of the Law Commission from 1971 to 1973. His landmark judgments include the Shamser Singh case which interpreted the powers of the Cabinet vis-à-vis the President, Maneka Gandhi case which gave a new dimension to Article 21, Ratlam Municipality case, and Muthamma’s case. He had pushed for reformative theory, in contrast to deterrence theory in the criminal justice system. He also received brickbats for granting conditional stay on the Allahabad High Court verdict declaring former Prime Minister Indira Gandhi’s election to the Lok Sabha void. In 2002, Justice Iyer was part of the citizen’s panel that inquired into the Gujarat riots along with retired justice P.B. Sawant and others. He was conferred with Padma Vibhushan in the 1999. He had unsuccessfully contested to the post of President against Congress nominee late R. Venkitaraman in 1987. He also headed the Kerala Law Reform Commission in 2009. He has to his credit around 70 books, mostly on law, and four travelogues. Wandering in Many Worlds is his autobiography. He has also authored a book in Tamil, Neethimandramum Samanvya Manithanum. He has been actively involved in social and political life after his retirement, almost till a few weeks when ill-health and advancing age took their toll on him. His 100th birthday was celebrated in Kochi last month and a number of programmes were organised by members of the legal fraternity, citizenry and his friends and well-wishers to felicitate him. Justice Iyer’s wife predeceased him. He is survived by two sons. The body of Justice Iyer will be taken to the Rajiv Gandhi Indoor Stadium, Kadavanthra, on Friday, where members of the general public will be able to pay homage to the departed jurist, said M.G.Rajamanikyam, Ernakulam district collector. The funeral will take place at Ravipuram crematorium at 6 p.m. on Friday, he said. These remarks speak to a necessary reform. But Justice Pal was not done yet. She went on to list ways in which judges of the superior judiciary were failing in their duty — substantiating each with an example. They ignore injudicious conduct in other judges, using contempt as a tool to silence discussion, she said; and they are insufficiently aloof from litigants, including the executive branch. Justice Pal’s words need to be welcomed in that they should spark off a much-needed debate. The higher judiciary is looked up to by most of India as one of the few institutions that have not been hollowed-out by time and circumstance. It is consistently at the cutting edge of responding to the social needs of the new India that liberalisation has brought into being. Yet the perception of a lack of accountability, a sense in which ranks are closed at the first sign of discussion, cannot help the institution maintain the position of unparalleled respect that it has built for itself over the past three decades. Justice Pal has correctly argued for an accountability mechanism, such as being studied by the bill now before Parliament. Till that mechanism has teeth, the self-examination of forward-looking judges can only strengthen the judiciary. Judges are fierce in using the word [“independence”] as a sword to take action in contempt against critics. But the word is also used as a shield to cover a multitude of sins, some venial and others not so venial. Any lawyer practising before a court will, I am sure, have a rather long list of these. I have chosen seven. The first is the sin of “brushing under the carpet”, or turning a Nelsonian eye. Many judges are aware of injudicious conduct of a colleague but have either ignored it or refused to confront the judge concerned, and suppressed any public discussion on the issue, often through the great silencer — the law of contempt. The second sin is that of “hypocrisy”. A favourite rather pompous phrase in judgments is “Be you ever so high, the law is above you”, or words to similar effect. And yet judges who enforce the law for others often break that law with impunity. This includes traffic regulations, and another regulation to which the “ordinary” citizen is subject. Some in fact get offended if their car is held up by the police at all while controlling the flow of traffic — the feeling of offence sometimes being translated into action, by issuance of a rule of contempt against the hapless police constable, all in the name of judicial independence. If “independence” is taken to mean “capable of thinking for oneself”, then the fourth sin is plagiarism and prolixity. I club the two together because the root cause is often the same, namely the prolific and often unnecessary use of passages from textbooks and decisions of other judges — without acknowledgement in the first case, and with acknowledgement in the latter. Many judgments are in fact mere compendia or digests of decisions on a particular issue, with very little original reasoning in support of the conclusion. Independence implies discipline to decide objectively and with intellectual integrity and as the judicial oath of office requires, without fear, favour, affection or ill will. Most importantly judges must be perceived as so deciding, or to use Lord Hewart’s classic dicta that “justice should not only be done, but should manifestly and undoubtedly be seen to be done,” because the belief of corruption is as damaging to the credibility in the independence of the judiciary as the act of corruption. This brings me to the seventh and final sin of nepotism or what the oath of office calls “favour” and “affection”. What is required of a judge is a degree of aloofness and reclusiveness not only vis-a-vis litigants but also vis-a-vis lawyers. Litigants include the executive. Injudicious conduct includes known examples such as judges using a guesthouse of a private company or a public sector undertaking for a holiday or accepting benefits like the allocation of land from the discretionary quota of a chief minister. I can only emphasise again that nothing destroys a judge’s credibility more than a perception that he/she decides according to closeness to one of the parties to the litigation or what has come to be described in the corridors of courts as “face value”. The Rajya Sabha today passed by an overwhelming majority a motion to impeach Calcutta High Court judge Justice Soumitra Sen on charges of misappropriation of large sums of money and making false statements and misrepresenting facts of that misappropriation. And, in the process, the Elders used the opportunity to pose a question to the higher judiciary: how did somebody like Sen, whose conduct as a lawyer was highly questionable, become a judge in the first place? That question wasn’t purely rhetorical — speaker after speaker during the four-hour debate got up to question the current collegium system of appointment. And many MPs, cutting across party lines, criticised what they called the growing tendency of the higher judiciary to step into the domain of the executive and the legislature. While 189 members voted in favour of the motion to impeach the 53-year-old judge, 17 members, including 16 from the BSP, voted against it. The BSP was the only party that came out in support of the judge. Not many had bought this case. Continuing from where he left yesterday, Leader of the Opposition in the Rajya Sabha Arun Jaitley said that the time had come to revisit the procedure for appointment of judges, strongly favouring a National Judicial Commission (NJC) to replace the collegium system. “The system of judges alone appointing judges must now change. India needs a National Judicial Commission to appoint judges,” Jaitley said. He said the NJC should comprise representatives of the judiciary and executive, as well as prominent citizens. “Both the pre-1993 and the post-1993 system had several handicaps. The best in this country are not willing to become judges. We have to seriously consider why… We should seriously consider a system which is being debated about setting up a National Judicial Commission… Public interest has to be protected in the matter of appointment of competent judges, in the matter of appointment of judges who are men of integrity, men of scholarship. Not only this, the criteria for appointment today does not exist. Is it today the discretion of the collegium? Collegium is also a system of sharing the spoils. 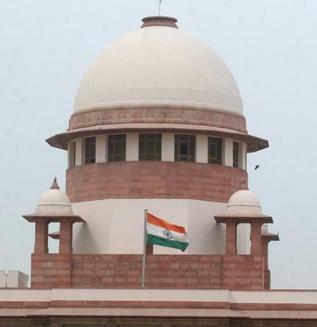 When the High Courts recommend, members of the collegium share the spoils,” he said. He was also critical of the “increased trend” of the Executive giving jobs to judges after their retirement, saying, “There is a possibility of retirement-eve judgments getting influenced in search of post-retirement jobs…this is a serious threat to judicial independence.” Jaitley also reiterated that Sen had tried to mislead the House by presenting “serious falsehood” about the facts of his case in the House yesterday. Congress MP E M S Natchiappan said he “felt sorry” the way in which a serving judge had attacked the judiciary, especially a former CJI, in words that were never ever used in Parliament. Springing a surprise, BSP MP Satish Chandra Mishra, who opposed the motion, said: “The findings have said there has only been diversion of funds and not misappropriation and secondly the finding of a single judge was dismissed by a division bench.” Therefore, he said, it could not be the ground for his removal. Jethmalani added that by paying the Rs 52 lakh, Justice Sen had bought for himself a reprieve from possible prosecution for criminal breach of trust that carries a prison term of 10 years to life. CPM’s Sitaram Yechury, who moved the motions against Sen, also favoured setting up of a judicial commission. D Raja (CPI) stressed the need for a judicial system based on probity and integrity. “A National Judicial Commission is required so that there could be accountability of judges,” he said, adding the nation is agitated over corruption in high places. Tiruchi Siva (DMK) and Bharatkumar Raut (Shiv Sena) spoke on the need for judicial reforms and changes in the system to appoint judges. Rajneeti Prasad (RJD) said the appointment system has to change and unless this happens, corruption in judiciary will remain, there will always be some appointments based on personal — rather than professional — considerations. “When a peon is being appointed, he is interviewed. Set up a judicial commission…This way, good judges will be appointed. Otherwise, only children and kin of judges will become judges,” Prasad asserted. Kumar Deepak Das (AGP) and H K Dua (Nom) also made similar demands. Ravi Shankar Prasad (BJP) said though the judiciary’s fight against corruption was welcome, the trend of judiciary “taking away power by appointing committees — MCD should work like this; this committee should work like this” was wrong. “May be, the authority is not functioning properly, but for that you are not the authority. Let the democratic process, the rule of the law and parliamentary accountability set right the course,” he said. Immediately after the motion was passed, Prime Minister Manmohan Singh, who remained present in the House and voted, walked up to Yechury and Jaitley and congratulated them on the approval of the motion. Now that the RS has passed the motion, the matter will go to the Lok Sabha, where, once again, Sen will get an opportunity to present his defence. However, the date when the Lok Sabha will debate the motion, will be decided early next week by the Business Advisory Committee. Trial courts cannot discard the evidence of witnesses just because they happen to be relatives of murdered persons, the Supreme Court has ruled. In the instant case, Waman and 10 others were awarded life imprisonment by a trial court in Maharashtra in a case of murder of two persons. The Nagpur Bench of the Bombay High Court confirmed their conviction and sentence. Four of the 11 accused challenged the High Court’s order, chiefly on the ground that the crucial evidence given by women members of the family of the complainant, being close relatives, could not be relied upon for their conviction. Leading an exemplary life is the highest form of ethical conduct. This is the keystone of our modern codes of judicial conduct. We need a clean man in the black robe to uphold the independence and the integrity of the judiciary. Action is an extension of values. A Judge’s obligation must start and end with his analysis of law, not with personal beliefs or preferences. The Judge should not accept patronage through which he acquires office, preferential treatment or pre-retirement assignment. These can give rise to corruption if and when quid pro quo makes a demand on such Judges. Similarly, when a family member regularly appears before a Judge, adverse public perception can affect the working of the integrity of institutions like the judiciary. The active involvement of Judges in community organisations has also evoked a similar response when their civil society associates appear as litigants before them. Frequent socialising with particular members of the legal profession or with the litigants, including potential litigants, is certain to raise, in the minds of others, the suspicion that the Judge is susceptible to undue influence in the discharge of his duties. In such a situation, Judges must keep the part of impartial, objective, fearless and independent justice alive. A Judge must inevitably choose to be a little aloof and isolated from the community at large. He should not be in contact with lawyers, individuals or political parties, their leaders or ministers except on purely social occasions. When one enters the Judges’ world, one inevitably has to impose upon oneself certain obvious restrictions. Judges owe a solemn duty to the community at large and from day-to-day they must ask themselves whether they have done or said anything which is inconsistent with the oath of office they have taken and which otherwise are consistent with their obligations as a Judge. One more aspect needs to be highlighted. Internal interference from a high-ranking Judge which, if resisted, could lead the lower-ranking Judge being transferred or being denied promotion also needs to be deprecated. Similarly, political protection should not be given to corrupt Judges. In drafting “know what to omit rather than what to include”. Judgements are not to be written as simplified newspaper pieces for public consumption. The process of reasoning in a judgement should reflect its integrity and explain its conclusions. Judges must eschew any suggestion that duties of the judiciary are owed to the electorate; they are owed to the law which is there for peace, order and good governance. 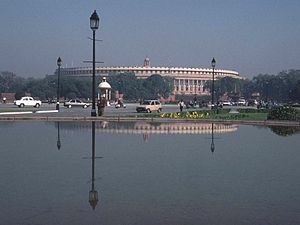 The Judges of the Supreme Court of India should revisit the original constitutional proposition that courts do not substitute their social and economic beliefs for the judgment of legislative bodies, who are elected to enact laws. We are not concerned with the wisdom, need or appropriateness of the legislation. We must refuse to sit as a super-legislature to weigh the wisdom of legislation. We must remember that our Constitution recognises separation of powers and that the legislatures and the government can be made accountable for their legislation and actions by the electorate if they err. In many PILs, the courts freely decree rule of conduct for government and public authorities which are akin to legislation. Such exercises have little judicial function in them. Its justification is that the other branches of the government have failed or are indifferent to the solution of the problem. In such matters, I am of the opinion that the courts should be circumspect in understanding the thin line between law and governance. In such matters, the courts must try to ascertain whether the issue has a legal content or a political content. In the latter case, the courts should invoke the doctrine of deference. 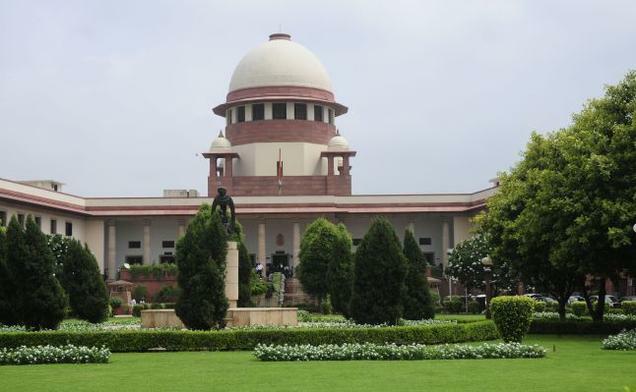 The function of the courts is to review the acts of the legislature and not to impose its own policies or values on the society or the legislature. We do not have the competence to make policy choices and run the administration. Judicial activism which is not grounded on textual commitment to the Constitution or the statute, unlike activism in cases of human rights and life and personal liberty, raises questions of accountability of the judiciary whose members are not chosen by any democratic process and whose members are not answerable to the electorate or to the legislature or to the executive. We, Judges, should remember that the validity of our decisions cannot rest on popularity. Resisting the pressure to please the majority is the strength of the judiciary, not its weakness. Judges who invoke the Constitution to protect the rights of people and who declare a statute unconstitutional are not legislating from the Bench, nor are they thwarting the will of the majority. They are merely carrying out their oath of office and following the rule of law. In the context of the developing world wherein litigation impinges on the economy or commerce, many Judges are cowed into submission rather than walk the tight rope of balancing the public interest and be tarred with the epitaph of “usurping the legislative function”. Lawyers and the public, apart from criticising, must engage in constructively empowering the judiciary. In conclusion, on this topic, I may add that it is the discipline of circumstances that makes us more worthy. The task of forming and giving opinion, in the course of judging, is based on many activities; resolving disputes, setting precedents, following precedents, deliberating with colleagues, displaying compassion and so on. However, each of these activities raises questions of judicial ethics. This is where the oath which we take binds us. Constitutional law is the law prescribing the exercise of power by the organs of a State. It explains which organs can exercise legislative power, executive power and judicial power and what the limitations on those powers are. In a federal State, the allocation of governmental powers (legislative, executive and judicial) among Central and State authorities is a basic concern. A constitution has been described as “a mirror reflecting the national soul”: it must recognise and protect the values of a nation. The word “constitutionalism” is sometimes used to convey the idea of a government that is limited by law. The phrase “rule of law” is used to convey the same idea. These terms describe a society in which government officials must act in accordance with the law. This in turn requires an independent judiciary and an independent legal profession. Under the doctrine of separation of powers, each of the above organs must stay within the powers allocated by the Constitution. Supremacy of the Constitution is the philosophy of the constitution. Well established rules of interpretation require that the meaning and intention of the Constitution framers must be ascertained from the language of the Constitution itself; with the motives of those who framed it, the court has no concern. At the same time the Constitution is not to be construed in a narrow pedantic sense and a broad liberal spirit should inspire those whose duty it is to interpret it. After 1980 the court has changed its direction to securing the rights of citizens from arbitrary actions of the executive and creating a human rights jurisdiction by an enlarged meaning of Article 14 (The Right to Equality) and Article 21 (The Right to Life and Personal Freedom). Between them the court has for all practical purposes introduced the “due process provision” in the Indian Constitution in such matters. In the so-called public interest litigation (PIL) the court freely decrees rules of conduct for government and public authorities which are akin to legislation and oversees their working. 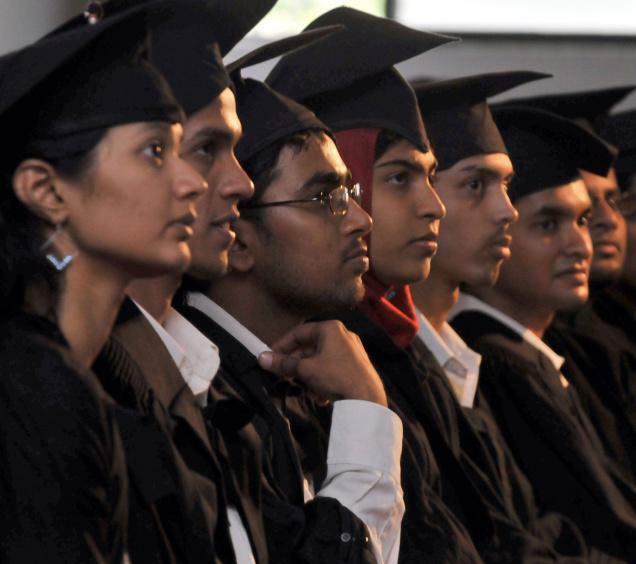 To give a few examples: the court in the interest of clean environment has ordered and supervised the use of clean fuel for vehicles in New Delhi; it has framed schemes of admission in educational institutions throughout India, and made the right to education into a fundamental right from a directive of State policy, and made guidelines to be adopted by public institutions for controlling sexual harassment of women at work places. The jurisdictional peg on which it is done is that such matters affect “the life” of the citizen under Article 21 of the Constitution. Its justification is that the other branches of government have failed or are indifferent to the solution of the problems. In such matters, the court is acting in advance of the political branches of the government. By and large such orders have been considered necessary and welcomed by the public, but the question which arises is – can judges ignore the separation of powers in the Constitution and become administrators, and do they have the competence to make policy choices and run the administration? Legislatures and government can be made accountable for their legislation and actions by the electorate if they err. Judicial activism of this type which is not grounded on any textual commitment to the Constitution, unlike activism in cases of human rights and life and personal liberty raises questions of accountability of a judiciary. The value system takes precedence over personality. Honesty is a tendency. Judicial accountability is a facet of judicial independence. It must be developed consistent with the principles of judicial independence. Constitutionalism is not enhanced by hostility directed against the judiciary which plays such a pivotal role in maintaining the rule of law. Coming to judicial accountability, there is no difficulty in accepting the principle that in a society based on the rule of law and democratic principles of governance, every power holder is, in the final analysis, accountable to the people. The legislature is accountable to the electorate. The executive is indirectly accountable to the people through the elected legislature. There is no reason why the judiciary should not be accountable to the community for its due performance of the functions vested in it. Power is given on trust and judicial power is no exception. The challenge, however, is to determine how the judiciary can be held to account, consistent with the principle of judicial independence. How does one achieve the right balance between autonomy in decision making and independence from external forces on the one hand and accountability to the community on the other hand? While not recommending the regular election of judges or their recall by popular vote, I would venture to suggest that Judges, unlike legislators, ministers or public servants, should be accountable to the jurisdiction they serve through their absolute adherence to a set core of judicial values. Through inheritance of British constitutional principles, judges in many Commonwealth countries are accountable to either the legislature or the executive, in the sense that one or the other of these two branches of government is vested by the Constitution with the power to remove judges for proven misbehaviour or incapacity. At times this power has been grossly abused in some of the countries. Judges inevitably end up in the political arena in deciding controversial cases – whichever side they rule. In resolving disputes between citizens and the State or evaluating a constitutional issue, Judges are forced to make decisions which are at times termed political. Judges are, however, not in a position to defend their judgements as they are bound by a code of silence. As stated above, Judges should account for the exercise of judicial power, especially when pronouncing judgements of significance. Public and media criticism of Judges and judgements is a common feature today throughout the common law world. Like other public institutions, the judiciary must be subject to a fair criticism. But, what I am concerned with is response to criticism, particularly criticism that is illegitimate and irresponsible. In the context of such illegitimate and irresponsible criticism, it must be borne in mind that love for justice is rare – what most people desire is justice which favours them. Our Code of Judicial Conduct will meet its goal if a talented, hopeful young person looks in the mirror and sees in the reflection the desire to exemplify the standards of justice and the possibility of doing so. Excerpted from the M.C. Setalvad Memorial Lecture delivered by the Chief Justice of India in New Delhi last week Setalvad set standards for future Attorney Generals In December, 1937, M.C. Setalvad became the Advocate General of Bombay and in that office, as in every office he subsequently held, he rose to the demands of the office. 1943 would have seen him as the first permanent Indian Chief Justice of Bombay, for he was invited to fill that high office. But, he declined the invitation on a ground which must fill every member of the Bar with pride; he refused to be a party in superseding the claims of the first court friend, Sir Harilal Kania. And when those claims were nevertheless passed over, i Setalvad felt an indignation which found a noble expression in the moving words he used in the Supreme Court on the occasion of Chief Justice Kania’s death. But, what the Bench lost, the Bar of this country gained and, in 1950, Setalvad became the first Attorney General for India. He set standards which future Attorney Generals were required to maintain. He realised, for instance, that for lawyers to charge fees not according to the complexity of a case but according to the traits of a client was to reduce the great profession to the level of a trade or business. The greatest service Setalvad has rendered to the law and the administration of justice lies in the work he did as the Chairperson of the Law Commission and as the author of its report. The picture which that report presents regarding falling standards of the Bench and the Bar is grim but the reality is grimmer. Nothing would have been easier for Setalvad to have his son Atul with him at Delhi and push him into practice in a year or two. He, however, refused to do so. He left his son in Mumbai to make his way at the Bar for himself, as Setalvad had made it before. All this may appear quixotic to the practical man; but it indicates the fundamental stability of Motilal’s character and his deep awareness of the fact that it does not profit a man to destroy his own and his son’s self-respect for the sake of easy success. The Allahabad High Court has decided to move an application before the Supreme Court seeking expunction of the remarks made by a bench of the apex court against it. Sources said that judges of the Allahabad High Court, who met on November 26, expressed their anger over the Supreme Court’s critical observations against its functioning and decided to approach the apex court. The bench also asked the chief justice of the high court to take some strong measures, including recommending “transfers of the incorrigibles”. It had made the observation in a 12-page order, while making the insinuation that several judges of the high court suffer from ‘uncle judge’ syndrome, which refers to judges passing favourable orders for parties represented by lawyers known to them. The bench had made the remarks while scrapping a single-judge bench order of the Allahabad High Court which had asked a Bahraich-based Waqf Board to temporarily allot a portion of its land in May-June this year to the proprietors of a circus for its show during an annual fair. “The faith of the common man in the country is shaken to the core by such shocking and outrageous orders,” said justices Katju and Mishra had said. “We are sorry to say but a lot of complaints are coming against certain judges of the Allahabad High Court relating to their integrity,” said the bench, without disclosing the contents of complaints. Referring to the rampant ‘uncle judge’ syndrome allegedly plaguing the high court, the apex court bench had said, “Some judges have their kith and kin practicing in the same court. “And within a few years of starting practice, the sons or relations of the judge become multi-millionaires, have huge bank balances, luxurious cars, huge houses and are enjoying a luxurious life. This is a far cry from the days when the sons and other relatives of judges could derive no benefit from their relationship and had to struggle at the bar like any other lawyer,” the bench added.